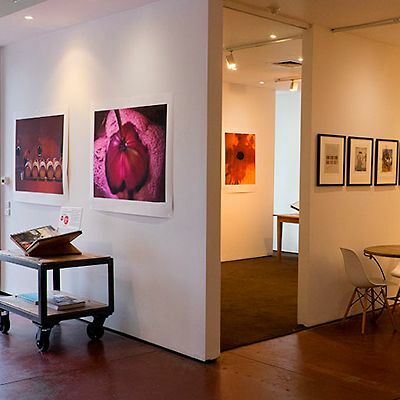 I was in Melbourne setting up for an exhibition of work from the Grange book in February 2015. Luckily for me the Mornington Peninsula International Pinot Noir Celebration was also on that week. I’d heard about the event and decided to shout myself a late Christmas present. I have been to a few wine events around the world, but this was up there with the best. Tim Atkin MW was the Keynote speaker. 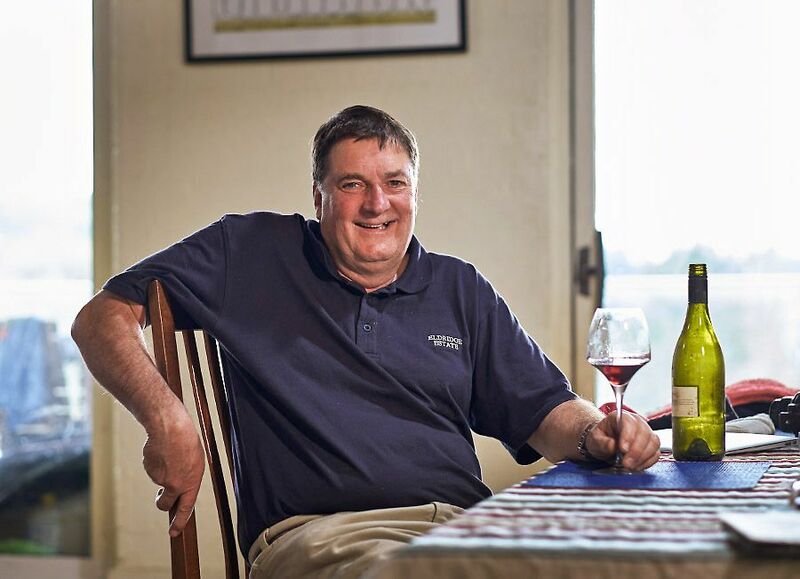 The session ‘2014 Pinot Project – one winemaker 5 vineyards’ was fascinating. The wines were from 5 different sites on the Peninsula, all from the same clone, picked at the same ripeness level and made by the same winemaking team. David Lloyd of Eldridge Estate was one of the origonal organisers of the event. We have known David for quite a while, and are a great fans of his wines. 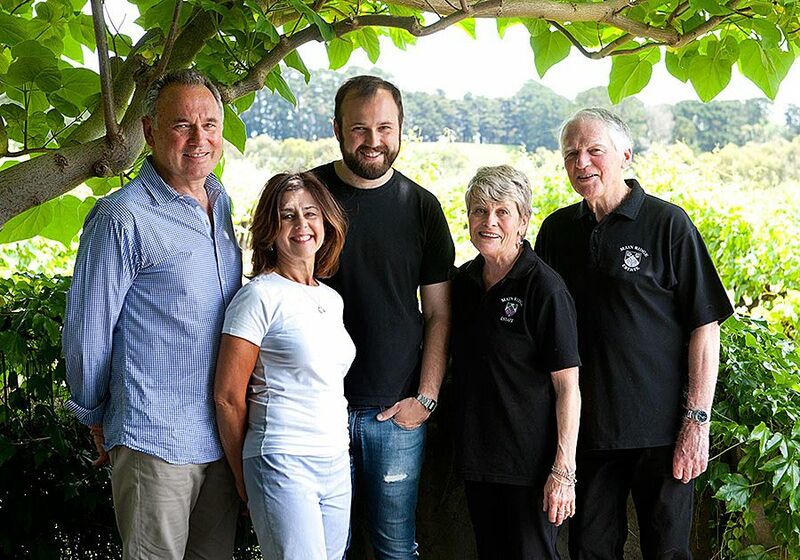 David and his wife Wendy established Eldridge Estate at Red Hill on the Mornington Peninsula in 1995. Sadly Wendy was diagnosed with breast cancer and passed away on February 18th 2014. David’s had a tough few years. I’m pleased to say when I caught up with him recently he was in good spirits. In Adelaide where I was born, my father was the rector at St Judes Brighton and so he either baptized or married most of the Hardy family and so by no coincidence I was brought up with wine. Strangely my late brother, Roger also did the advertising for Hardys. My older sister tells me when I was a crying baby Mum and Dad would dip my dummy or the pacifier as they call it now, into Hardys black bottle brandy and put it back in my gob, which has truly led to my decline ever since. I knew Eileen Hardy as Aunty Eileen. My first job on university vacation was working on the bottling line at Hardys Mile End. Later at Monash University in Melbourne I joined a wine club. I was seriously into flavours by then. At one tasting the theme was Burgundy and you had all these people commenting about various Burgundy regions, eg in the Cote de Nuits it was wet before harvest yet the Cote de Beaune was rain free so the Cote de Beaune wines had more power and acid. Turned out the wine they were carrying on about was a d’Arenberg gold medal 1967 burgundy. At the same tasting I had invited my pharmacology professor Geoff Bentley along. Geoff had spent some time on sabbatical in England and loved Burgundy. He said “when I was in England I quite liked Burgundy from Gevrey-Chambertin” and this wine, the one served after the d’Arenberg, is just like that and low and behold it was. Geoff didn’t profess to have a great knowledge of wine, but he was right. There can be some big egos at tastings, especially if they get into the options game but in those days Geoff and I saw ourselves as “L” plate tasters. Somewhere about this time I made 3 batches of riesling , same juice in all 3 batches but I used 3 different yeast cultures. The differences between the three batches was staggering and the combination of science and art that is winemaking now had my full attention. Then I just got more and more into making the stuff. 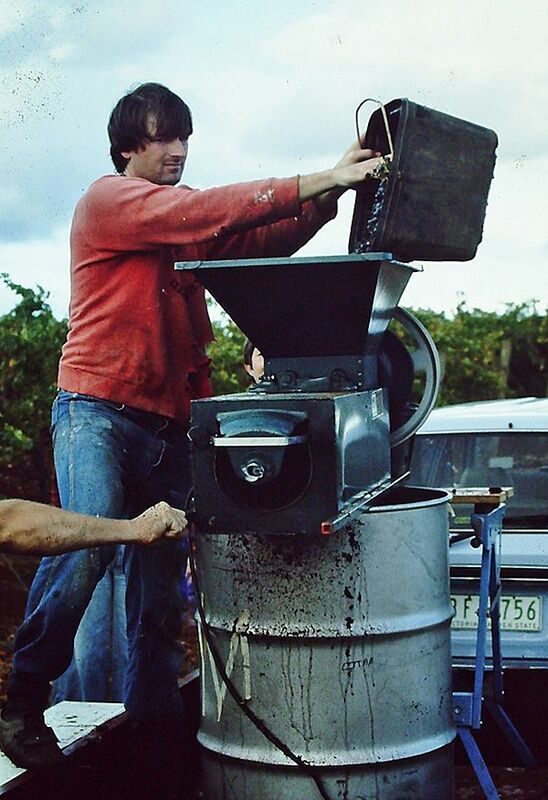 David Lloyd field crushing Coonawarra cabernet in the early 80’s. Photo © Eldridge Estate. You were a science teacher, when did you start to make wine ? I started making wine before I started teaching. My first crush was in the mid-70s. As I said, about this time I really started to get into wine and I also started to make my own cabernet. It was OK but I felt I could do better if I had Coonawarra fruit because I believed that Coonawarra was the best place for making cabernet. We were one of Doug and Joy Bowen’s first customers. I loved their wine and told him that I had been trying to get some good Coonawarra fruit for ages, with no luck. He said: go talk to ‘Prof’, aka Brian Lynn at Majella, so I did, and managed to extract a little cabernet from him. 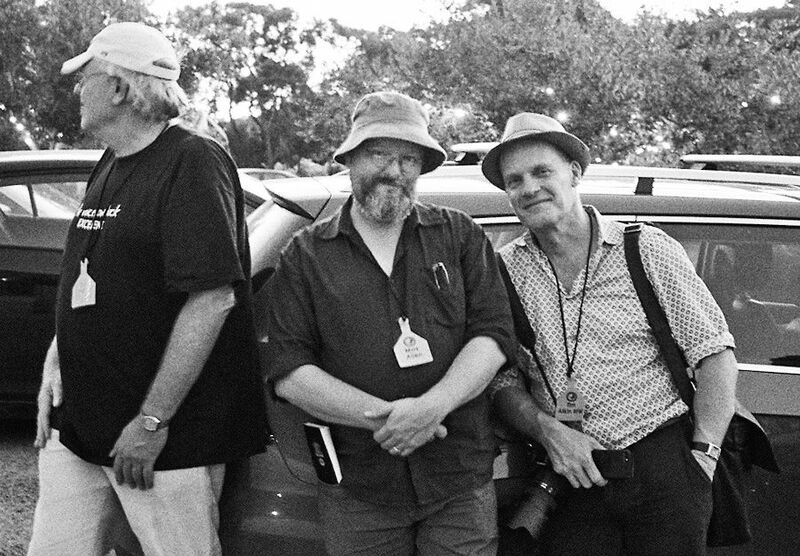 I used to drive to Coonawarra in an F 100 ute with all the gear. The first year we crushed at Bowen estate. Doug and Joy were like mentors and as a family they were wonderful to us. Prof and his wife Ros were also a great help letting us and our small band of friends sleep on their living room floor. The Brands helped as well. One day I said to Bill Brand that I would like to get something to add to the cabernet, he suggested I put a bit of his malbec in. I really did like cabernets back then. At that time I enjoyed aged Aussie cabernets as they were lower in alcohol at around 12 to 12.5% and so were much easier on you than the modern ones which sit at around 14 or 15 % alcohol. 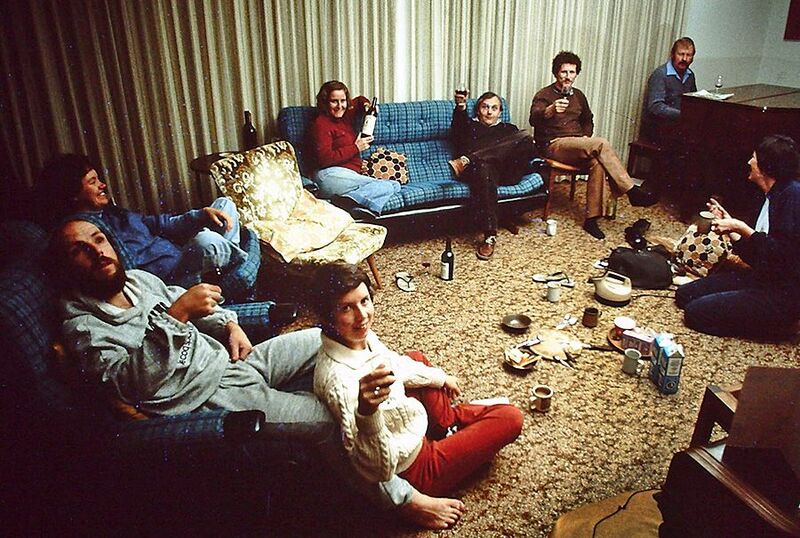 Group of friends in the Lynn lounge room after a days picking in the Coonawarra in 1983. Brian Lynn is on the Piano : Photo © Eldridge Estate. I couldn’t afford to buy the benchmark wines I wanted to try, so I joined the Yarra Valley Wine and Food Society. You had to wear a penguin suit in those days, and they had a Burgundy night. I’d have to say I just wondered why all the fuss about Burgundy ? 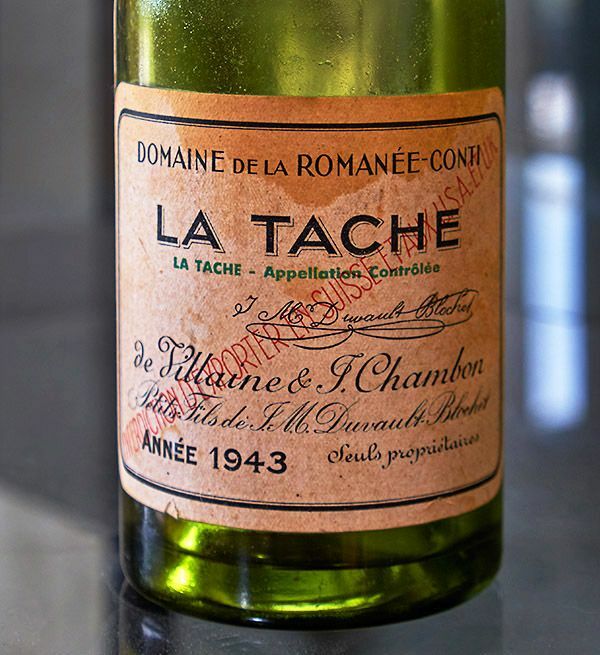 The 1943 LA TACHE, opened one night at the Yarra Valley Wine and Food Society. Photo : Milton © Wordley. I’d tasted several up until then and they were all lightweight. However, one night, in a small restaurant in Lilydale, function 46 I think, we had some lovely chardonnays, all French and I was really impressed with them. Then we had a couple pinots that were quite nice, a step up from those I’d had in the past. Suddenly we hear a cork pop from the serving area and the restaurant went quiet, which was strange as it was a really noisy evening. What caused the silence ? They were bringing out the glasses of wine, the aromas were wafting around the restaurant, and this was the wine, ’43 La Tache. (David shows me the bottle). It was pale onion skin brown, but the aromas were just magnificent, and I was just bowled over by how lovely it was. It was the classic story you hear about pinot, it got me by the gooleys and never let go. 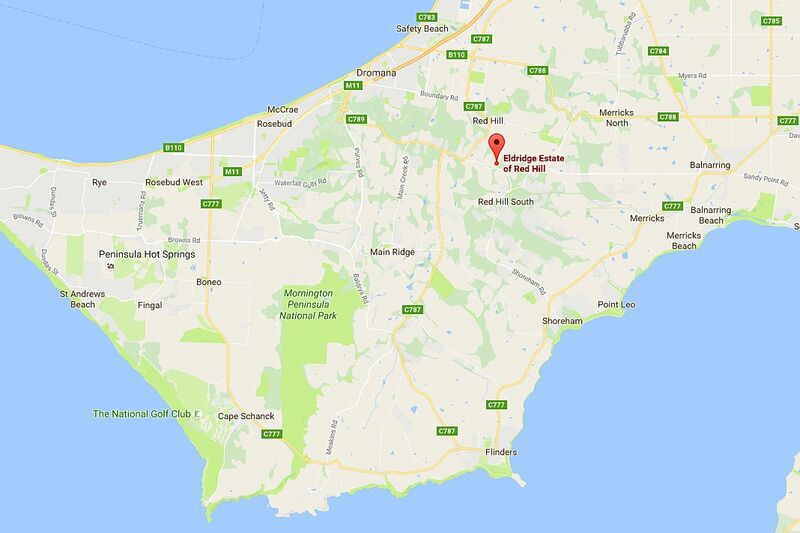 You are on the Mornington Peninsula, what was the journey to here ? My wife Wendy was already into chardonnay. Eldridge Estate vineyards : Photo © Andrew Kopp. 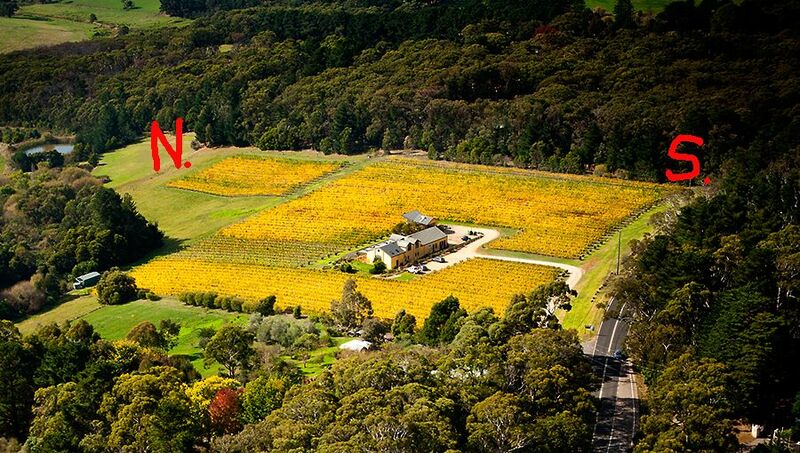 I now loved pinot and we discovered Mornington Peninsula as a cool climate area at about the same time. I also thought it would be a good place to grow cabernet. I had started consulting here in the district but the trouble was it was very hard to make any money out of wine. We’d just got married, 1976, so I became a teacher to get a more reliable income. It was an easy decision as I liked working with kids, watching them learn, encouraging them to learn, and I love science. But I never really stopped winemaking. I suppose I started consulting here in about 1980 or 81. Wendy and I always wanted to buy down here but land was just too expensive, always has been. In the end, Wendy’s parents helped us buy this place in 1995; we’d been looking for years. I remember Wendy’s dad had just been diagnosed with pancreatic cancer and he came down to look at the region where we were planning to buy. Looking at my map, he asked, “What’s this area on the map with a blue circle drawn around it ?” I said, “That’s the area we are not considering” , because I reckoned with my experience consulting down here, it was too cold to grow the fruit I needed to make the pinot I like. I responded by explaining that while we were looking things had changed. People were now netting so the birds didn’t get to the crop and with nets we could get the fruit ripe. The decision on this site was due to two good friends giving me some advice, that luckily for me, I actually listened to. 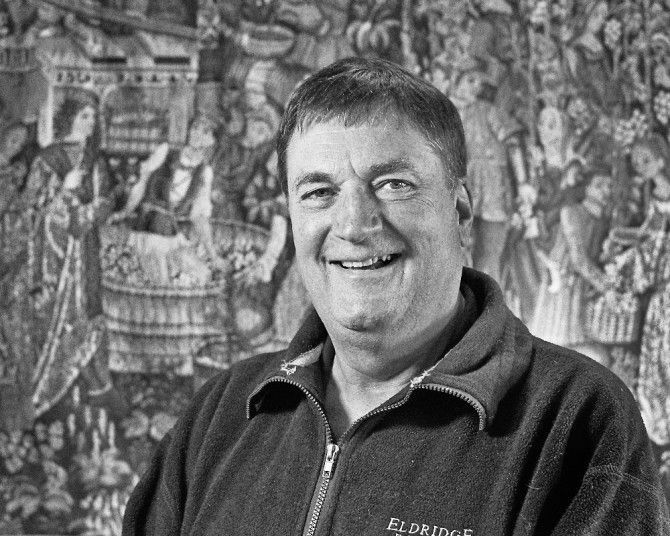 Sir ‘Lunchalot’ aka David Bishop during harvest at Eldridge in 2011 : Photo © Eldridge Estate. Nat White from Main Ridge said “come and look at my fruit up here on the hill when it’s ripe and you’ll change your opinion about fruit on the hill”. I tasted the fruit and was convinced the fruit was more like what I wanted. Another mate ‘Sir Lunchelot’ aka David Bishop, said one day “Davo, you might be a good winemaker, but you’re not a bloody farmer, look at the French experience, you can buy a block and if it’s on the right side of the road you’ll get 50 bucks a bottle but if it’s the wrong side of the road you will get $10. Buy a block where you already know the fruit”. I knew the fruit from what is now known as Eldridge Estate of Red Hill. I’d tasted the wine. I saw this was a better way. So we bought the place. I was aware of climate change so it was a calculated gamble. It had been a two-year search. 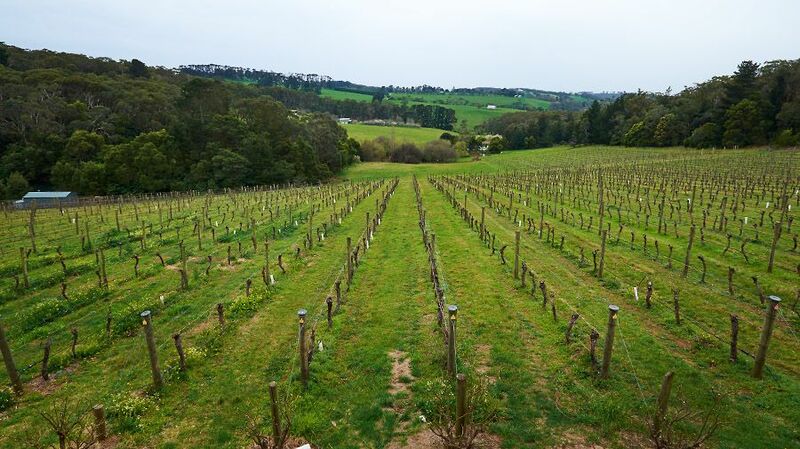 We looked in Tasmania, Adelaide Hills even Martinborough in NZ. We just kept coming back to the Mornington Peninsula. We make the wine I like up here on the hill. 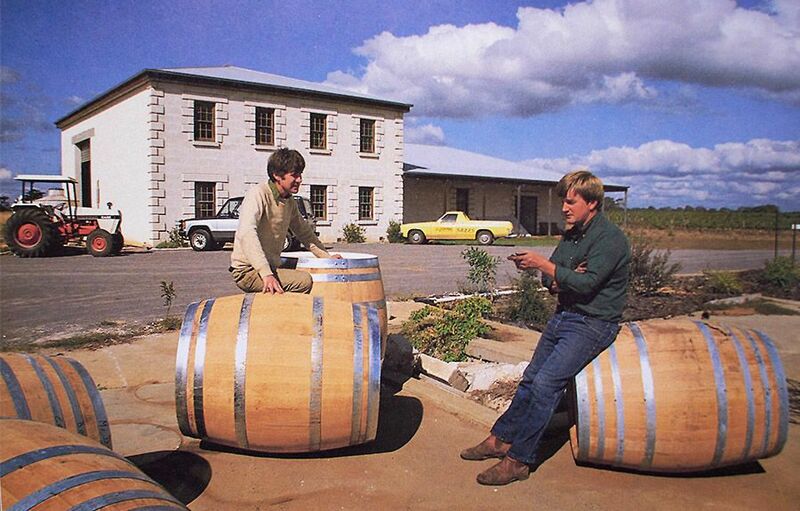 The site was absolutely critical, and we bought our vineyard in 1995, one that had been planted in 1984. There is an advantage of buying something that’s already planted. 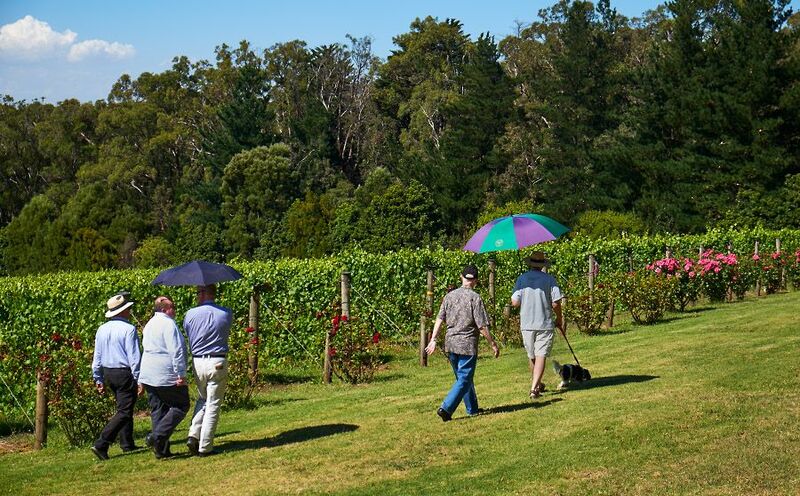 Mornington Peninsula International Pinot Noir Celebration : What involvement do you have with it ? The first year was 2003, back in those days it used to annoy me when I saw a good review of wine from my region. It always had a sting in the tale. For example they might say, this Chardonnay is fantastic, great acid, good balance, lovely fruit etc etc then the sting, very good for the Mornington Peninsula. It annoyed me. I used to visit New Zealand once a year and would show my winemaker friends there wines from my region. They all thought Mornington Peninsula Pinot looked pretty good. Why don’t we ever hear about them, they’d ask ? One of the winemakers then suggested we have a Pinot celebration, to help show the region to the wine world. I asked what’s a Pinot Celebration ? They invited me to come over the ditch to their next event, The Central Otago Pinot Noir Celebration. By this time I was a real Pinot Groupie. David Lloyd and his dog Mia lead the group at ‘The hand of God Vs the hand of Man’ session at Eldridge. MPIP celebration 2015. Photo : Milton © Wordley. I went over to Queenstown for their celebration and was blown away and absolutely enthused by it. When I came back home I convinced my colleagues to put one on. I was the chair for the first two events. Max Allen and Tim Atkin MW at the MPIP Celebration 2015. Photo : Milton © Wordley. I’ve been to the New Zealand events, the Oregon event, and a few others that are not so well-known, and I think our event stands up very well. My only concern is that it is tending to become a bit too like a giant tasting/talk fest event without enough time looking at the vineyards. I see the source of the fruit and the people who grow it as very important. One of the new innovations my region has tried is an experiment working with a group of scientists to produce wines from five different vineyards at different heights, soils and winds, made by one winemaker with the same clone of Pinot Noir. Professor Snow Barlow and Professor Robert White from the University of Melbourne presented the science stuff along with Mark Krstic of the Australian Wine Research Institute. 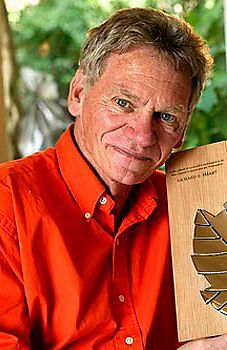 Max Allen wrote it up and it was generally viewed as an exciting way to show the terroir of our region. Kate McIntyre who chaired the last event took this a step further by looking at Australian pinot noir from a terroir perspective. Fascinating stuff. A couple of really good Burgundians are coming to the next celebration in February 2017 (tickets from mpva.com.au). 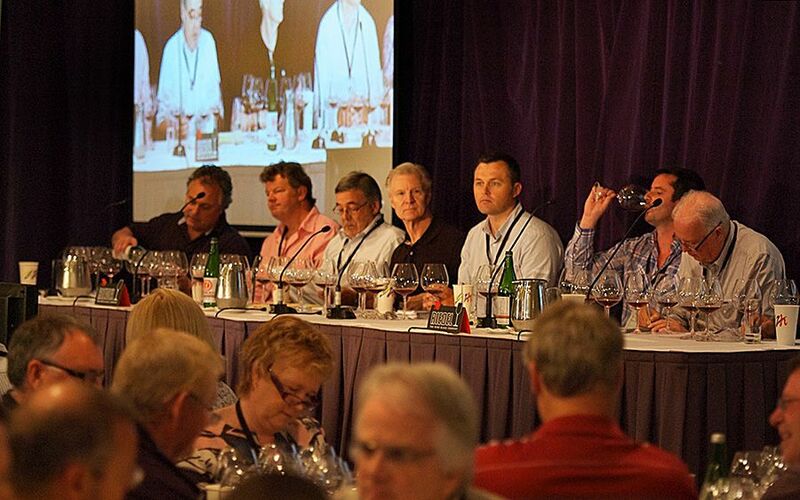 I see this as a really valuable event for Australian pinot. One of the other reasons I got behind the concept, was because I got sick of people coming into my cellar door and asking didn’t I have any real wine ? James Halliday part of the group at the ‘The hand of God Vs the hand of Man’ session at Eldridge. MPIP celebration 2105. Photo : Milton © Wordley. I’d sigh and ask if they meant shiraz or cabernet, then explain that I didn’t and furthermore this area was famous for pinot noir. As a region we needed to better educate people. I spoke to a few people like James Halliday who’d tried something a few years earlier but he said the idea never took off. The whole concept behind it is ‘Brand Pinot’. It’s front and centre, second is Aussie pinot, third is the Mornington Peninsula , and fourth is the individual brands. So I said, let’s all swallow our egos and talk about pinot. 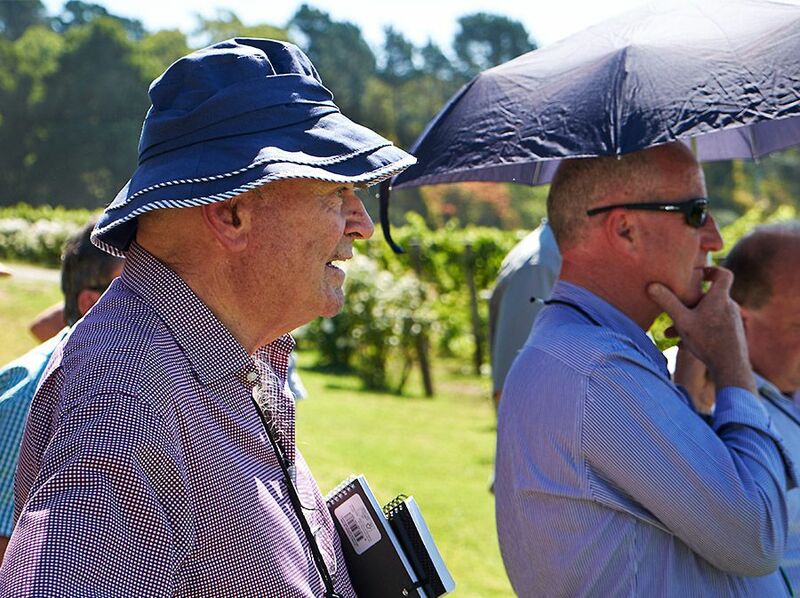 I’m the current President of the Mornington Peninsula Vignerons Association, we get a sub committee report on the ‘Mornington Peninsula International Pinot Noir Celebration at our meetings. I’ve pulled back from being more involved, leaving it to the sub-committee to take it to the next level under their chair, Lindsay McCall. I now just pay to attend and enjoy it like the other 200 people there. A session ‘The hand of God Vs the hand of Man’ with George Mihaly at his Paradigm Winery. MPIP celebration 2105. Photo : Milton © Wordley. One of the things I’m absolutely enamoured with is the concept of terroir. My friend ‘Sir Lunchalot’ and I were in Burgundy in 2005. Together with some other friends we found a wine shop and bought chardonnay by four different makers, but all from the same vineyard, Les Charmes in Meursault. We cooked a chook for dinner, and had the wines. The similarities were absolutely there, the differences equally clear. 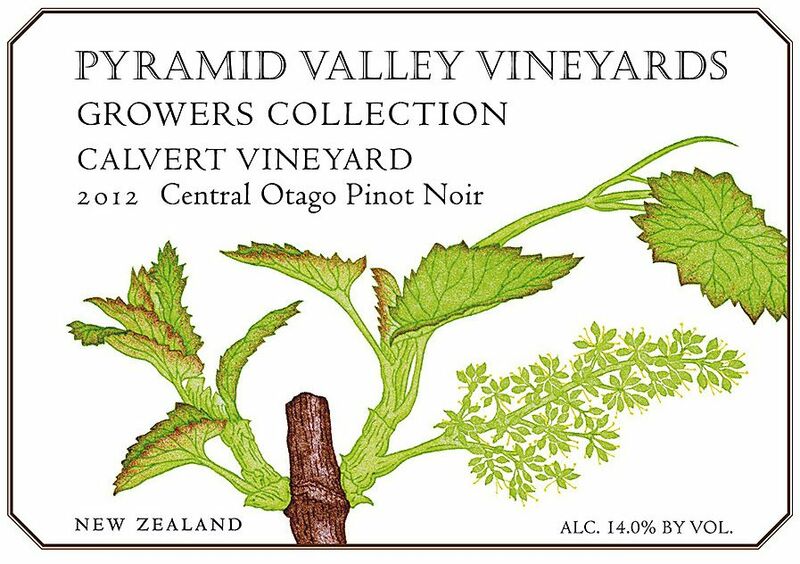 Pyramid Valley ‘Calvert Vineyard’ Central Otago Pinot. Only one wine showed the hand of man as shining through, otherwise you could see the subtlety between the wines that was the land. The key point is that they all had a striking similarity. I have since tried similar tastings at a few other times, the best being four pinots by three makers from a patch of dirt called Pommard Rugiens and the fourth by one of the makers from a vineyard 400 metres away in Volnay. The Volnay stood out as different whereas the other 3 wines had heaps in common. I have done a similar tasting from a patch of dirt called the Calvert vineyard in Central Otago with the same results, the place the grapes are grown speaks from the glass. I have 29 different sample plots in my vineyard that I track as harvest gets going. There’s a lot of work which has gone in to understanding how my vineyard works. Some people say that the clones really don’t matter when you get old vines. I’d argue strongly against that, what I see is that the clones do perform differently; what you want is a diversification of flavours. I think when a vine gets to 15 years old you are getting somewhere and by 25 to 30 years old they are peaking but sometimes they can go into decline. The vineyard is what its all about. Eldridge Estate Vineyard. Photo : Milton © Wordley. I’ve been making wine since the 70s and I’ve only been on this place for 21 vintages. I think I’m just starting to understand it. 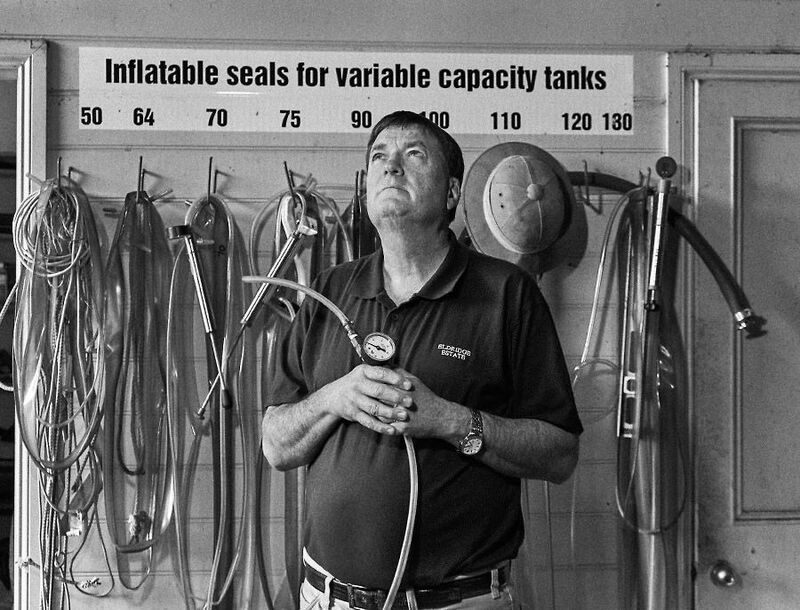 David Lloyd seems a bit bemused by the various inflatable seals. Photo : Milton © Wordley. I’ve changed the oak according to how the fruit has evolved. I’ve also changed my winemaking style three or four times. I’m still evolving and understanding the simpatico between the vineyard and the winery. Twenty or thirty years ago when I was making cabernet, it was much more straightforward. Pinot is so much more demanding. It is such a challenge. It smashes you down when you think you’ve have finally understood it. The same can be said for this year’s chardonnay. I like a particular characteristic in chardonnay that people often describe as ‘burnt match’. I hardly got any in the 15’s so in the 16’s I upped the ante a bit, but I think I’ve gone too far. I’m a little worried it might not have the fruit hit I like. I say to myself, you pushed the boundaries you idiot. You have just got to keep working on it. You just can’t sit on your bum. You presented a paper at this year at the International Cool Climate Wine Symposium ? The symposium has been going for twenty-four years and is held in a different country every four years. 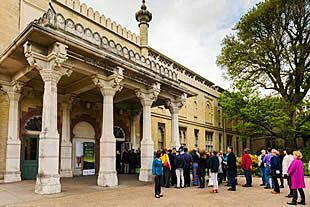 ICCWS 2016 Launch at the Brighton Museum. This year it was in Brighton, England. The paper I gave was on my North and South project. 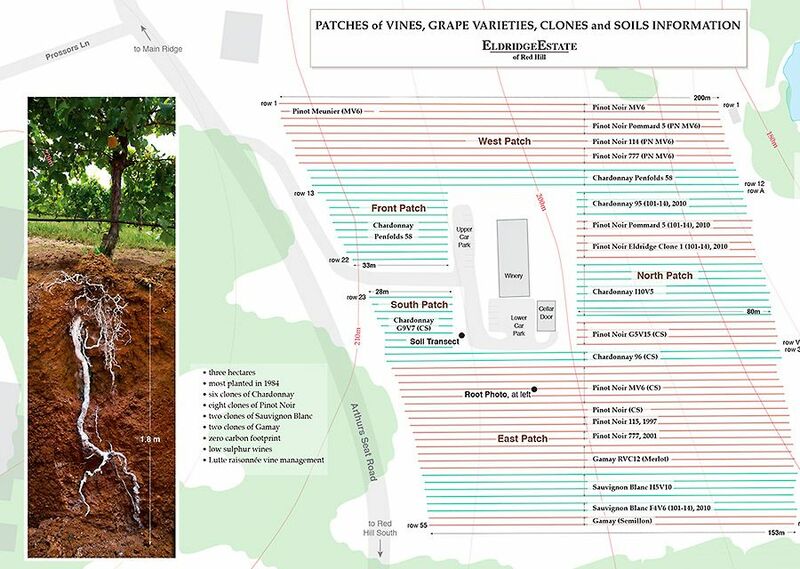 More specifically on the differences between the North and South part of my main patch of pinot. I put it forward as a lecture not just a poster presentation but the organizers who tend to be academics did not get the importance of linking growing data behind terroir and tying it all together with a tasting so I presented it as a poster. These events are a really good way to learn. The best feature of the symposium for me was the opportunity to see how English wine has developed since the late ‘70s when I first tried it. It has progressed to an amazing degree. The next symposium is in Ontario in 2020 and I hope to present more data then. North and South aspects of the Eldridge Estate vineyards. Photo : Eldridge Estate. Tell us about the North South project ? It came about when my late wife, Wendy was sick. A group of friends in the local community had come up to help me evaluate the various blends. They didn’t want me to make all the decisions by myself when I was so worried about Wendy. David’s helper at the front door to the tasting room. Photo : Milton © Wordley. We almost had fisticuffs on the day because we could not agree on the barrel selection for my top wine known as Clonal Blend. I replied that I didn’t know, I simply put a mark on various barrels of interest and took samples. I went down to the cellar and looked at the barrels and it turned out that one of the barrels was from the North end and one from the South end of the same patch of vines and from the same mix of clones. So we did the North and the South as separate batches. I had noticed when I was tasting/sampling that they were ripening at different rates, so I picked them at different dates based on when I thought they had the same brightness and levels of flavour, so it was purely a chance discovery. The following year 2014, I went to a lot of trouble to separate them out as the north-south patch, and in 2015 I did it again. I’m about to bottle this and the really fun thing is that they are different. I sent samples to the lab to do a tannin analysis, soon after they finished fermenting. The North was 1075 milligrams per litre and the South was 810 milligrams per litre. That is more than a 20% difference in tannin. I then started recording air temperature, soil temperature and soil moisture. Looking at the data collected I formed an hypothesis: that the water drains from the top (South) patch to the bottom of the slope which is the North patch, causing the soil in the North to be colder than the South. This delays bud burst by up to 10 days. However, once the vines get beyond bud burst it’s more protected down the slope, and the soil is a touch warmer than the soil further up the slope with the result that the fruit often ripens up to a week earlier in the lower part than the fruit up the slope.I found this subtle difference within my vineyard fascinating. 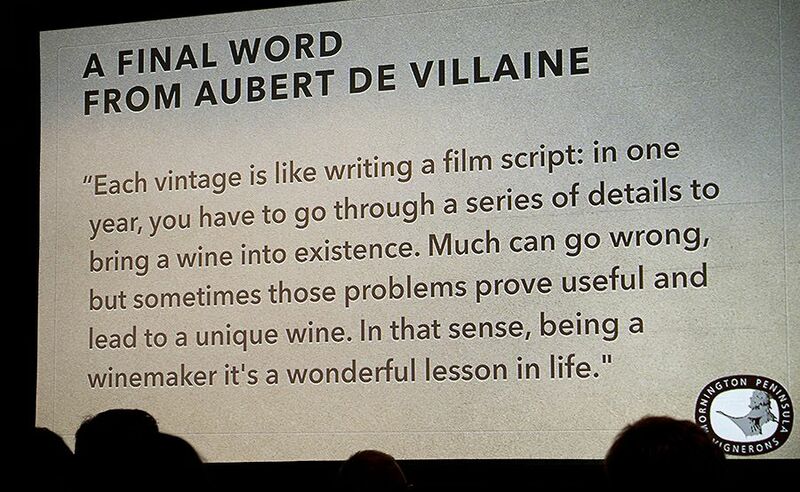 Tim Atkin MW, finished his 2015 MPIP celebration key note address with some words from co-owner and co-director of the Domaine de la Romance-Conti Aubert de Villaine. This week I’m taking another step, putting in two new sets of data loggers, which will stream off to the web.Hopefully this will give me more accurate data to help gain a better understanding over the next few years. The vines are of different ages but the clones are the same, the South is now 31 years old, and the North (bottom) 16, but at that age I don’t see the age difference as a big deal, both produce about the same quality, it’s just different. Climate change and how it might effect the Pinot regions of Australia ? People talk endlessly about climate change and its effects. One thing has become clear to me when I speak to the people who are behind the research; proximity to water moderates your local climate. If you are in an area like we are now, the Mornington Peninsula or in Tasmania, you are near the ocean which gives a moderating/buffering effect. If you’re inland even as subtle as the Yarra Valley versus around here you’re going to get a bigger effect. 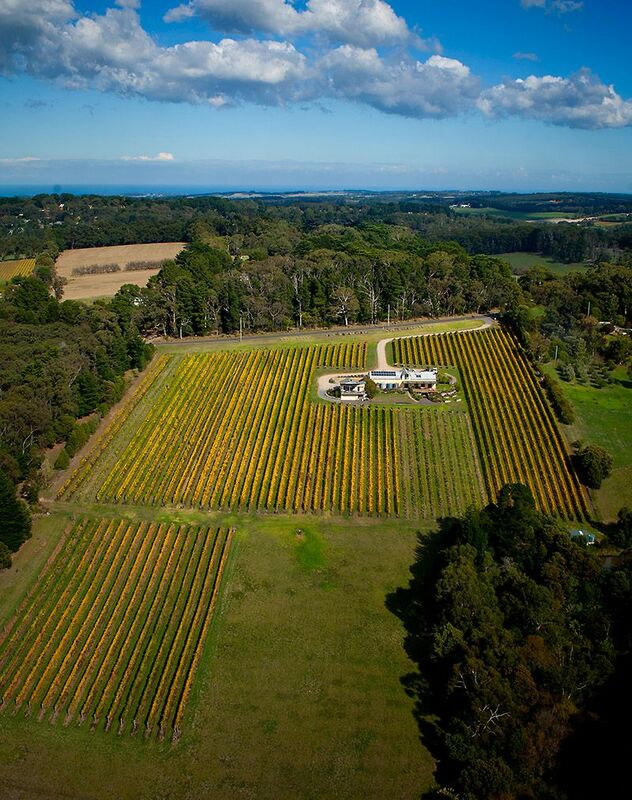 Eldridge Estate, Mornington Peninsular. High on a hill and water on both sides. Image © Google maps. If you are in Burgundy where you are way inland you are going to have a massive effect, and it’s not just about being warmer. The weather is becoming far more unpredictable, with more extremes like hail and frosts. I think Tasmania is very well positioned in terms of coastal moderation of climate. Adelaide Hills, I’ll be interested to see how that goes. There are so many regions within the Adelaide Hills, some spots I think would be perfectly suited for cabernet some doing great Pinot. Yes I have noticed that we are picking earlier but I don’t believe it is just climate change at work. It is my belief that we all manage our vineyards much better these days. In the old days ie 20 plus years ago, vignerons tended to like heavier crops and a good dose of green leaves. 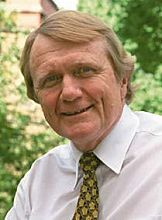 Dr Richard Smart : Photo Supplied. Flavours from shading were accepted. Then Dr. Richard Smart started banging on about keeping the canopy open and getting sunlight onto the canes. Wendy and I pruned every vine and it took months, often finishing just before budburst. Now, I have some help to prune and it is done months earlier than when I started here. When you prune earlier you tend to get an earlier bud burst which often follows through to give an earlier harvest as well. In the old days people were happy to get crops in excess of the five tonnes per hectare. Heavier crops also take longer to ripen. When the ripening time is in later autumn it is cooler so ripening is slower and more extended. But, all that considered, we are a little earlier now but I am very happy with fruit quality and the flavours produced when I harvest in mid to late March which is the current norm. In 1997 I picked Pinot on Anzac day ! However, having the sea on either side of the Mornington Peninsula does tend to even out the climatic troughs and crests. We tend to get very bright cherry flavours here on the Peninsula, we also get a dose of savoury development with it and a level of raspberry which gives us great flavour balance. The Yarra Valley, just one hour away but more inland, has more dark berry flavours. Tasmania tends to be a more bright intense bright red cherry flavour, and yet the Adelaide Hills, I don’t see enough at Adelaide Hills wines. Stephen George was doing much plusher style and it seems to me that South Australians tend to like a plusher style of Pinot Noir. So I do see climate change having an influence on Australian Pinot but believe we can manage and adapt to it. I am also impressed to see other regions that are warmer and inland adjust by changing the time they prune and in some cases even using new varietals more suited to the new climes. A lot of people bang on about conservation or being organic Vs biodynamic but not enough talk about actually being sustainable. Boon Wurrung Foundation web site. The Mornington Peninsula gets plenty of rain so I don’t need to irrigate. The soils are volcanic based and being from the Eocene-Oligocene epoch are very old and are rich in organic matter, ie perfect for growing grape vines. The traditional owners were the Boon Wurrung tribe of the Kulin nation and they were hunter gathers who cared for the land. I have solar hot water, solar electricity, an electric farm vehicle and an electric forklift. Sure I run a monoculture of vines but I run a beautiful weed patch in-between. My use of chemicals is minimal, but as it is how I earn my income I fight a reasoned struggle against the natural problems we encounter. I mulch my prunings back to the soil and crop at a low level as I attempt to keep the place at zero carbon footprint with healthy soils. The land I care for is rich with wildlife, wallabies, echidna, native rodents, lizards, frogs, heaps of birds and even the occasional Koala. I don’t fight nature, I use nets to keep the grapes for me. I just hope that our federal government could acknowledge that climate change does have some human inputs and get the rest of the country on track to be more sustainable. The traditional owners did a great job for thousands of years and my mob seems to be doing its best to muck it up. My conscience is clear and I hope my land remains this happy . 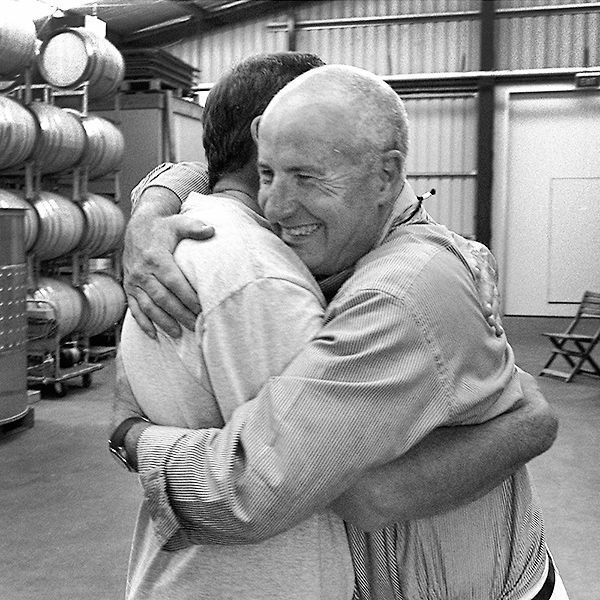 George Mihaly embraces his mate David Lloyd at ‘The hand of God V’s the hand of Man’ at the 2015 MPIP celebration. Photo : Milton © Wordley. 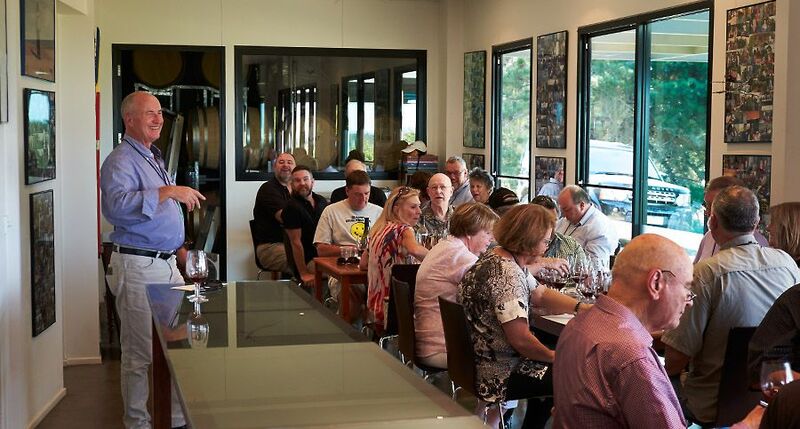 I think the first Mornington Pinot Celebration was an absolute highlight, the buzz was palpable. The visiting winemakers from New Zealand and California who’d all done it before wanted to come and talk to us about how to take it on from that first event, it was fantastic. We all got a real buzz. As far as other wine highights, in 2006 I was asked to go to Oregon to show my Pinot and represent Aussie pinot along with Tarrawarra from the Yarra Valley at the International Pinot Noir Celebration. I had all these Americans coming up to me and saying “Auzzie’s can’t do Pinot”, I gave them a taste and they said “wow you can ”. Before the event they have a workshop of winemakers where your wine is presented blind to the group, you don’t know when it’s going to show up. Towards the end of the day we had done over 100 wines. It was my turn to lead the discussion and report back. A wine came up and I wished that was my wine, I didn’t know what my wine might taste like as I had bottled it straight from the barrel (they use the current vintage) a month or so earlier and delivered it to the conference on the way to Canada where Wendy and I went for a three week holiday. I said in the discussion, my wine has not been shown yet but I wished the wine under the spotlight was mine because I and the others at my table really liked it. Boom, it turned out to be my wine. But the real highlight is the local wine community. I am so lucky to live here. Just after Wendy was diagnosed, I was in absolute despair, I had this whole vineyard to prune yet a wife having chemo to care for. 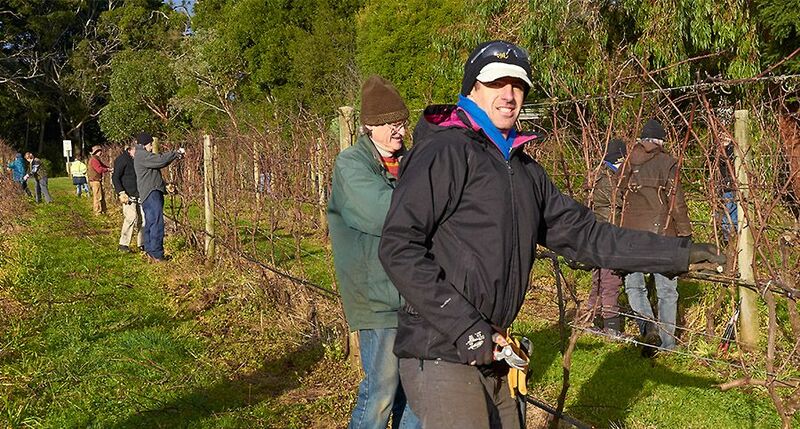 The warmth I felt when suddenly 28 local vignerons rolled up and pruned the place in a day still brings tears to my eyes whenever I think about it. 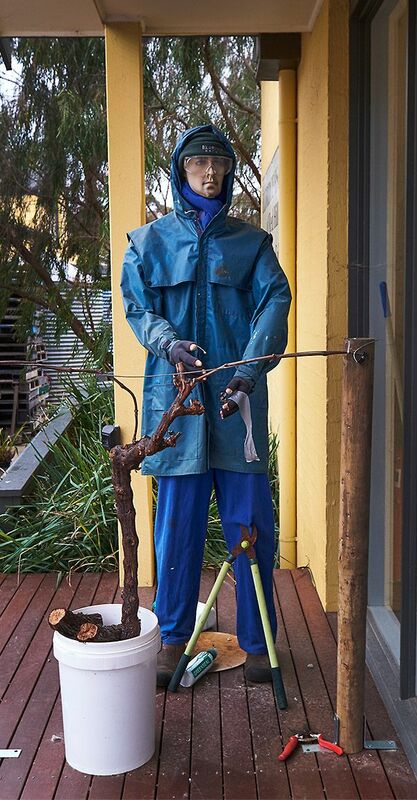 The day the local vignerons pruned Eldridge : Photo © Eldridge Estate. 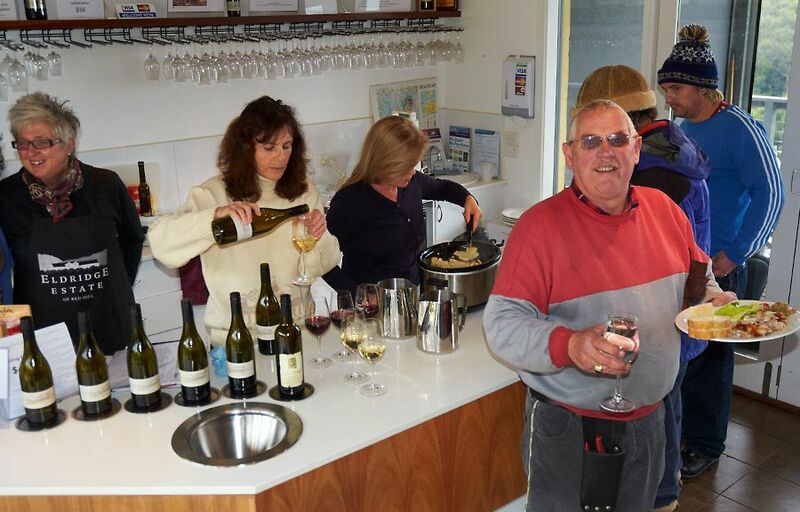 Some others prepared the food that day and others volunteered to run my cellar door for many months. These were the real highlights at what was a very low point in my life. Lunch in cellar door the day the local vignerons pruned Eldridge : Photo © Eldridge Estate. A couple of special friends who spent years guiding me through the dark times, John and Maryanne, George and Ruth, Jan, Pablo, Nat, Rose, Marg and a special mention to Carol Crowther. She watched her oldest friend fade away not long after her own personal hardship yet she was there and continues to keep me on track. My family too have drawn me in and been a great help. I think it also important to acknowledge the strength I gained from the support of international friends, Rusty, Pookey, Arvind, Sue, Roger, Katie, Su, David, Bill, Christine, Brian, Thierry, Estelle, Steve and Delphine who gently kept me going as I finished the Grand Slam. We are nothing without friends. A friend said to me a few years ago. “They can take me out of here in a box”. I’m not sure how long I will be here, but I’d like to help guide whoever takes over. A bit like my friend Nat who planted Main Ridge Estate. 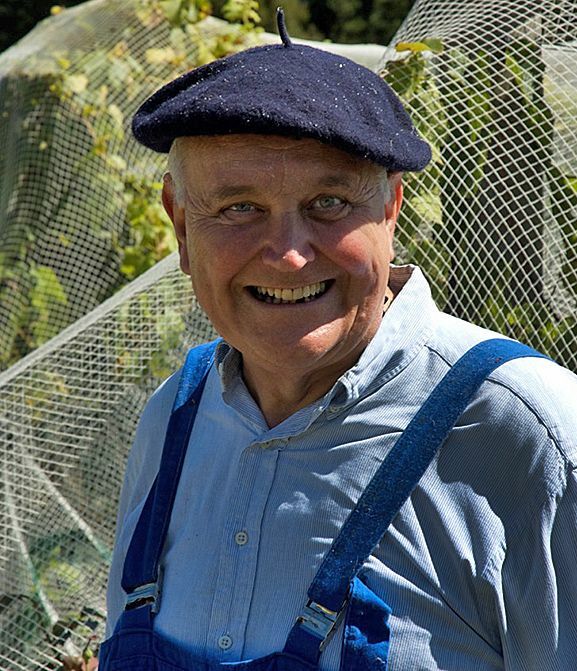 He spent years working on the vineyard. There’s heritage there and the Sexton family who bought the place understand that and are doing their best to cherish and nurture it. Nat and Rosalie White who retired after 40 years at Main Ridge Estate with the new custodians the Sexton Family. Photo : Andrew © Kopp. I’ve been working towards setting my place up for that moment. I try and do something each year to make it better. I love this area tremendously and I’ll most definitely stay nearby. When Wendy was diagnosed it was a tough few years. 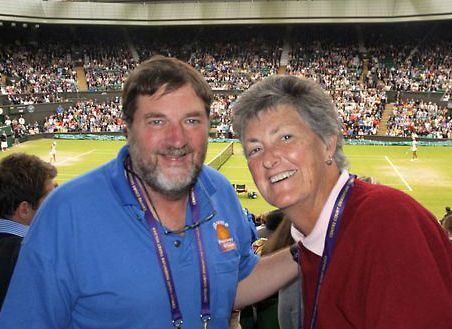 David and Wendy at Wimbledon in 2013. After she died, I never thought I’d be happy again. You go through this miserable horrible experience and watch somebody you love and have been with for 40 years die in front of you. And you think I’ll be fine. In six vintages I will be 70. I think that is too late. So I am beginning an amazing transition. I will have completed more than 45 vintages in a pretty full on business so I look forward to a new life. My colleagues are telling me that wine has been my whole life, and reckon I’ll go off my trolley. But I say that there are lots of things I like doing, I love taking photos, I like travel, watching tennis… I’m sure I can find plenty of things to occupy myself with. It’s just a matter of getting your head around the fact that one day you have to stop. After what happened with Wendy there are a few things I want to do as well. Carol was a great friend to both us. Some time after Wendy died we realized our friendship had changed. It’s been fantastic, I’m happy, I mean really happy. I never thought I could find the joy in life again. David Lloyd at home. Photo : Milton © Wordley. When do I move on? One thing is a known known, I don’t want to leave here in a box, I want to leave driving a Tesla to a new home that is solar powered and green. Hiro Kusuda : Kusuda Wines Martinborough.